I have been away for far too long time but there’s a good reason for it! Our new home! 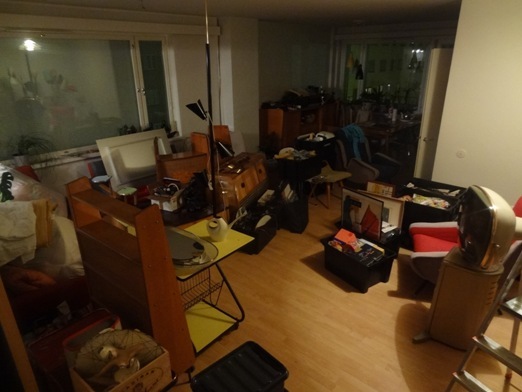 We got the keys to our new appartment early February and started immediately with some renovations. Not this much but enough to keep both my husband and I very busy (especially him). 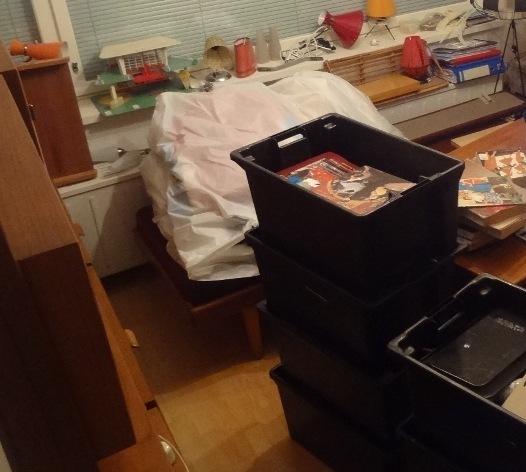 We had some things done by others too, such as the bathroom – because it’s illegal here in Finland to do it yourself – but even this means a lot of work and supervision. Then we started packing and finally moved in a month ago with the great help of a bunch of great friends. And found ourselves in the middle of a total chaos! So no time to take pictures of outfits and no energy to write any posts. My main accessories after work lately have really been screwdrivers, hammers, painting brushes, drilling machines and the like and clothes… well… what one wears to wander around a total mess covered with construction dust. And it’s getting ready now so it’s time for a couple of pictures… of the construction site and mess and of this weekend’s outfit. 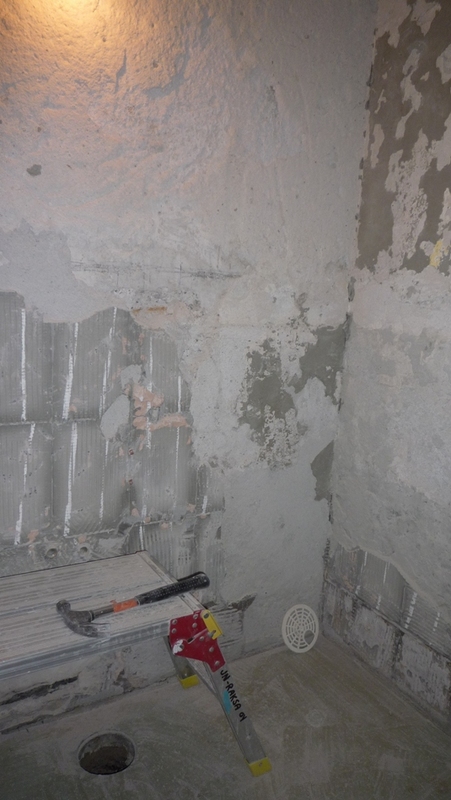 After all, this is not a blog about building bathrooms but about vintage outfits. 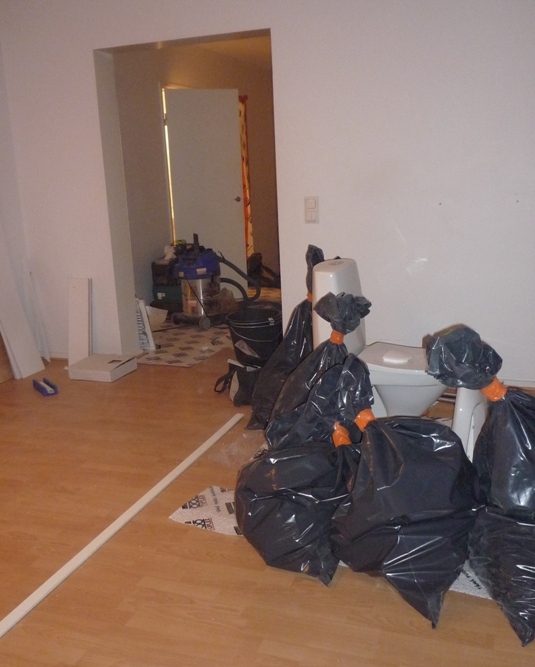 The picture was taken in the entry hall… we’re getting there – finally! 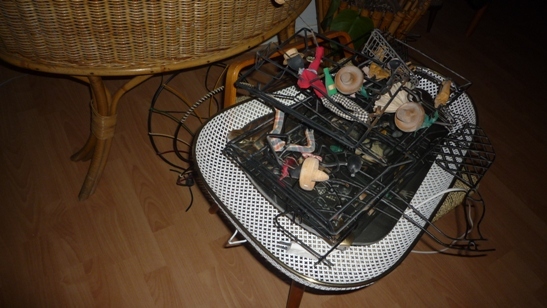 Rebuilding one’s nest is a tough work but a rewarding one. Hi, it’s been a while from my last postings! I took a long break from Fintage Fashion Show and now I come back with the news. 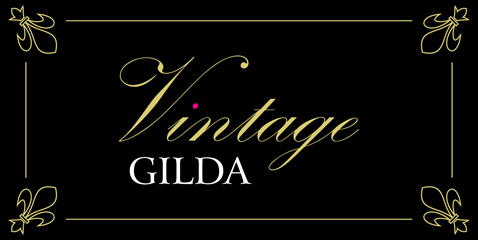 During the break I have set up my own vintage blog! 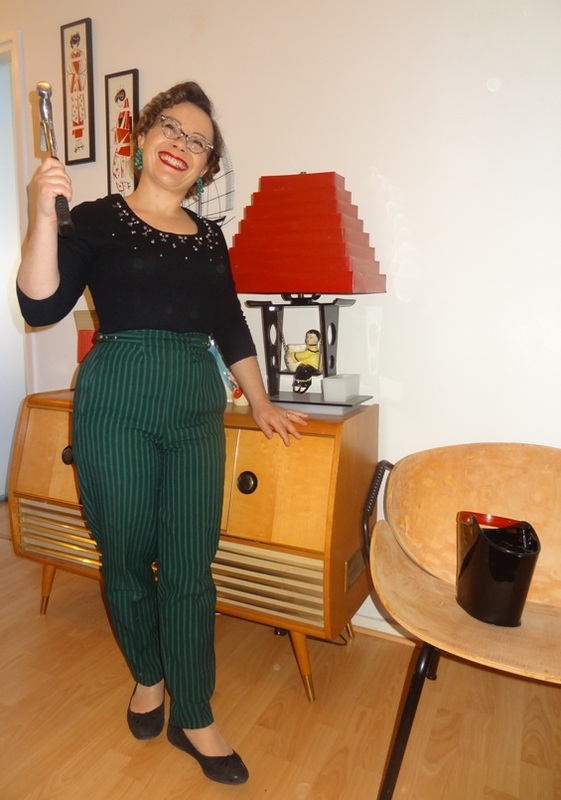 My new blog called The Lucky Bubbles, which works out mainly like Fintage Fashion Show as an outfit diary, but there I take some freedom to present other things and happenings about a life with vintage styles. You are welcome to join me! Hei pitkästä aikaa! 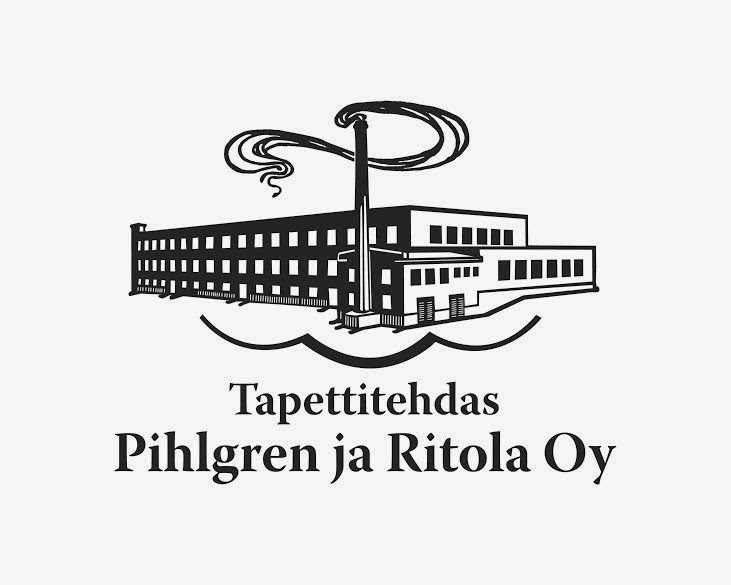 Olen pitänyt taukoa Fintage Fashion Show’sta ja palaankin nyt takaisin uutisten kanssa. Olen nimittäin perustanut oman vintageblogin! Uusi, The Lucky Bubbles niminen blogini toimii pääasiassa Fintage Fashion Show’n tapaan asupäiväkirjana, mutta Fashion Show’sta poiketen otan vapauden silloin tällöin esitellä blogissani omien asujen lisäksi muitakin asioita elämästä vintagen kanssa. Tervetuloa mukaan! The outfit I am presenting this time is from last fall’s Rock ’n’ Roll Night event in Hyvinkää (small town nearby Helsinki, Finland). In the evening I was wearing a spades, hearts, diamonds, and clubs printed cotton dress. On the dress was rhinestone decorated bodice, so I chose for handbag Florida Handbags labelled Lucite handbag that has also some rhinestone decoration and blue vinyl sandals. More about this outfit and night you can read on my new blog. Tämänkertainen asu on viime syksyltä Hyvinkään Rock ’n’ roll Night -tapahtumasta, jossa olin pukeutunut pata-, hertta-, ruutu- ja ristiprinttiseen mekkoon. Mekossa oli tekojalokivikoristeltu etumus, joten valitsin laukuksi Florida Handbagsin myös tekojalokivikoristellun lusiittilaukun ja siniset vinyylisandaalit. Tästäkin asusta voit lukea lisää oman blogini puolelta. 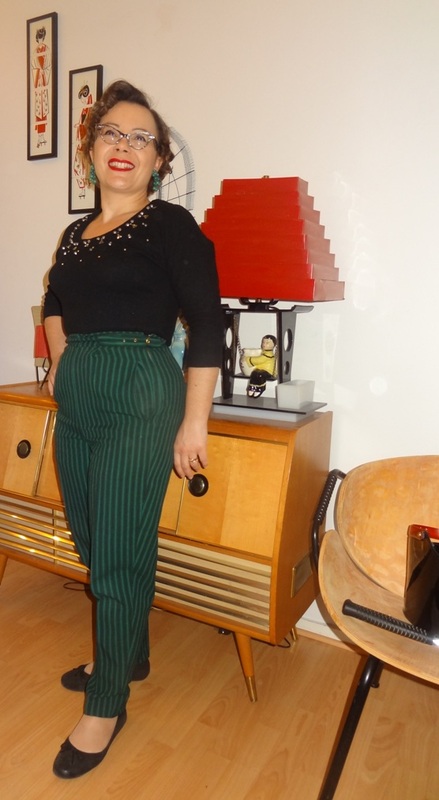 Dressing in vintage clothing is part of my lifestyle, which is due to my love of music from 1940s to 60s era. 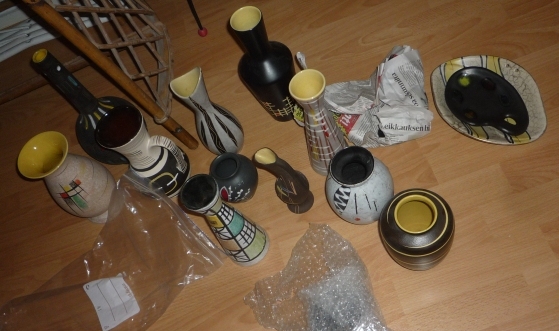 Almost all my vintage items date back to 50s and early 60s (small part is already from 40s). 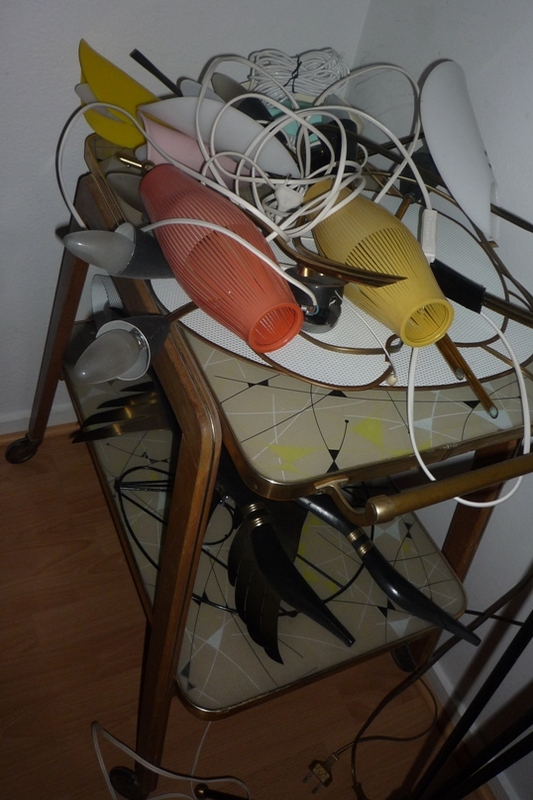 In this blog I shall only present vintage items (unless specially noted). 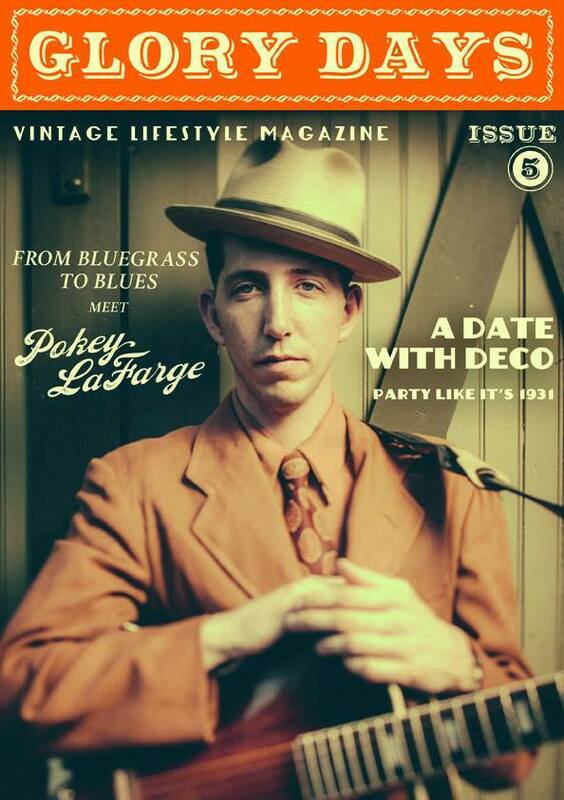 Besides collecting vintage items, I love going to parties in good company and having looong hot rod car runs. I will post every other Friday (even numbered week). I hope my outfits will delight you or even better inspire you! By the way, I am not in the Facebook, so I can not comment on those messages. Messages left via Facebook are of course welcome, but I will not be able to comment them in these circumstances. IN FINNISH: Vintage-pukeutuminen on osa elämäntapaani, joka on seurausta rakkaudestani 1940 - 1960-luvun musiikkiin. Lähes kaikki vintageni on 50-luvulta ja 60-luvun alusta (pieni osa on jo 40-luvulta). 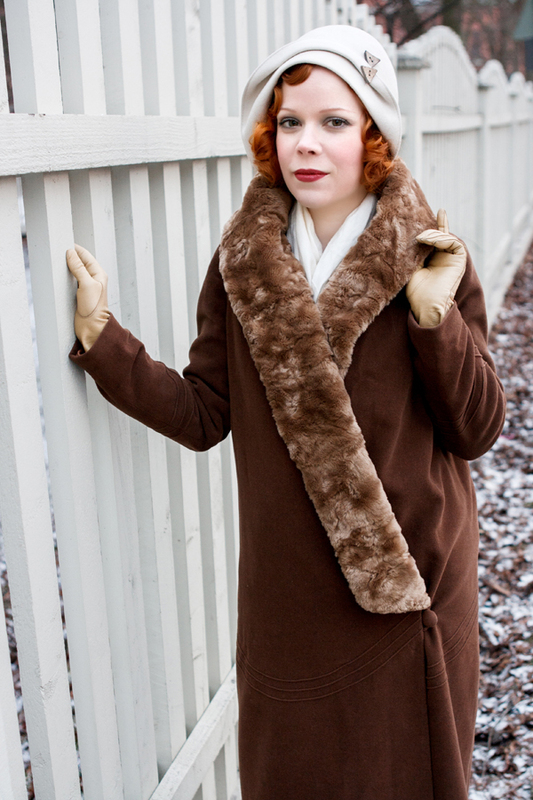 Tässä blogissa esittelen ainoastaan vintage-tavaroita (ellei toisin mainita). Vintage-keräilyn lisäksi tykkään käydä juhlimassa hyvässä seurassa sekä tehdä pitkiä hot rod -ajeluja. Postaan aina parillisen viikon perjantaina. Toivon, että asuni ilahduttavat, tai vielä parempi, inspiroivat sinua! Muuten, en ole Facebookissa, joten en voi kommentoida Facebookin kautta jätettyjä viestejä. Facebookin kautta jätetyt kommentit ovat tietenkin tervetulleita, mutta en pysty vastaamaan niihin. The darkness of winter has once again resulted in lack of inspiration when it comes to style, and this inevitably led to a quiet patch in my outfit posts. 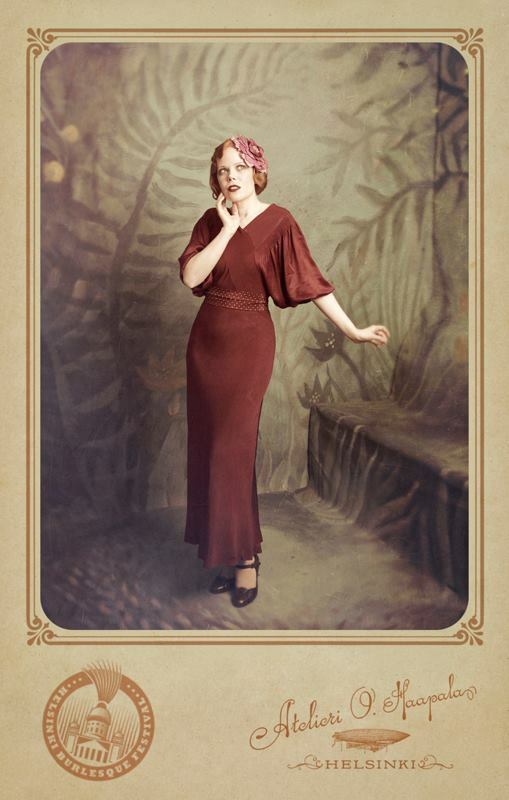 But I do have some newly made/purchased ensembles and lots of old rags still to share with you lovelies. Yet another evening gown, my apologies. But I have some cool new photos I could not wait to post. The first two images are again by brilliant Atelieri O. Haapala and the next five by my talented friend Anna Smolina. 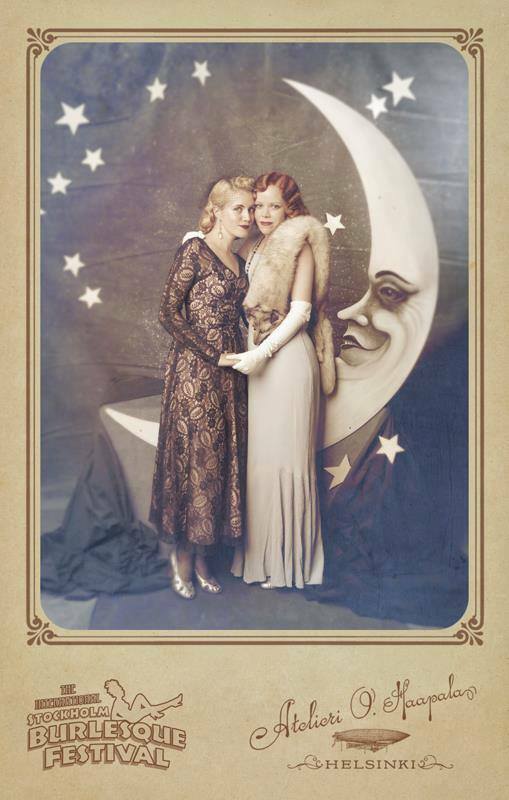 In the last image you can see just how pretty the cut of the bodice is. It looks identical from the back but the neckline is a little bit lower, looks nice when worn with a dress clip. 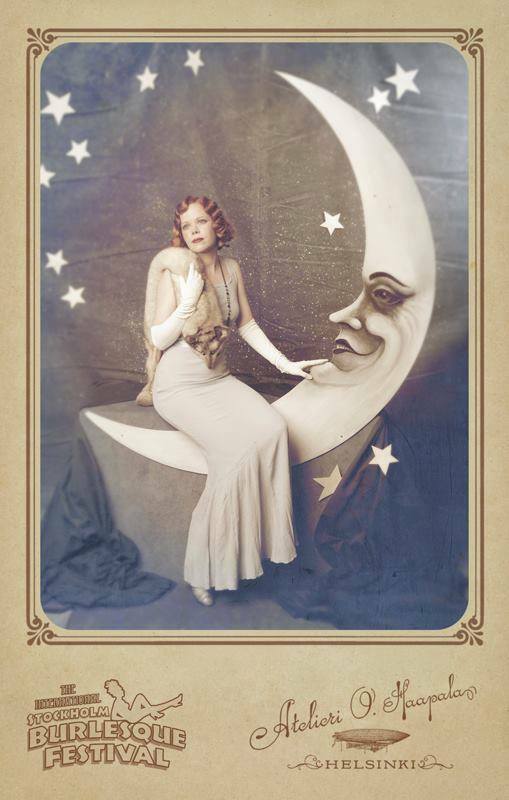 I bought this gown at a vintage fair in London last spring. 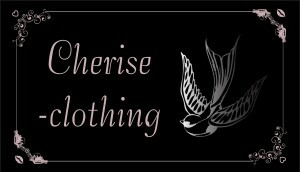 It is one of those dresses that are so easy and comfortable to wear, and since the material is very solid and forgiving, it is the perfect choice when travelling or for those wild nights out. The dress is cut on the bias and for the sleeves they used the reverse side of the fabric – looks very subtle but makes all the difference. 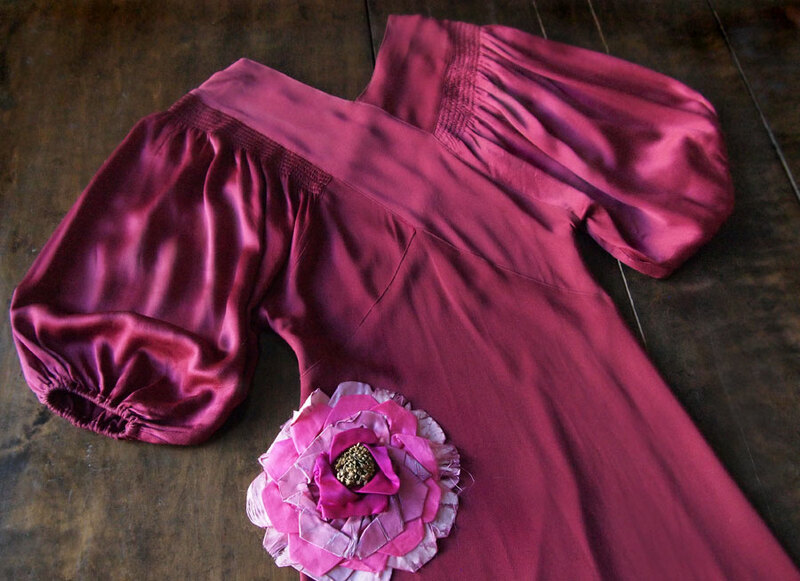 That huge flower was attached to the bodice (right in the center at the neckline) and to me it didn’t really compliment the elegance of the dress. I don’t know whether it is original to the dress, but the silk is shredding quite a bit so it seems to be rather old. It makes a great fascinator though. 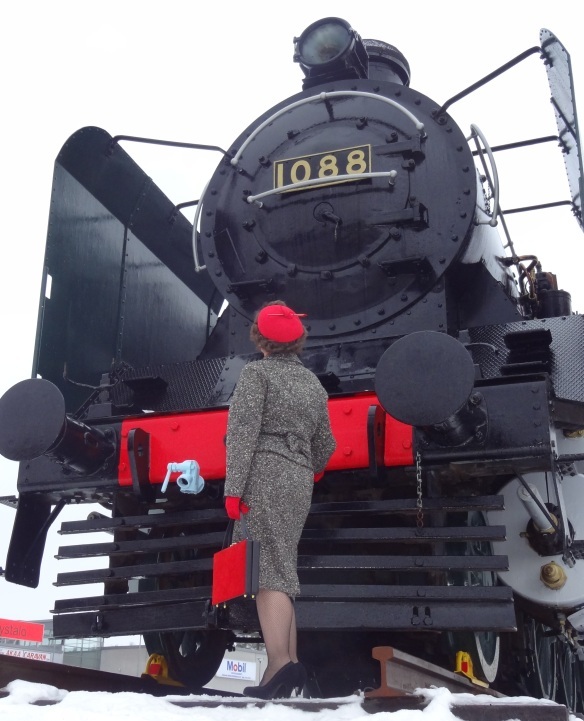 The Fintage association organises twice a year a great vintage weekend event in Tampere. In winter it’s at the Vapriikki Museum and in Summer in a market place surrounded by wooden houses. 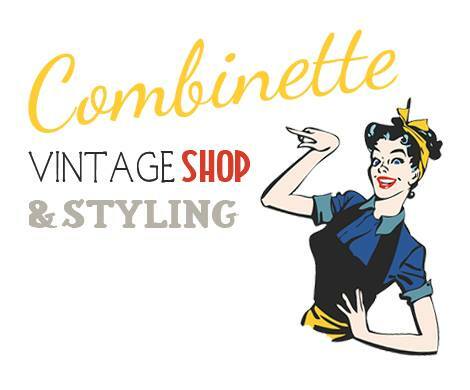 The Fintage events combine good vintage shopping with quality presentations on treasures from the past e.g. gramophones, embroidered cloth from early 20th century (directly from the museum’s collections), dolls; guided tours to the museum; live music; dance and a vintage fashion show. A great two days program! Hence, we headed early on Saturday morning to Tampere with friends. 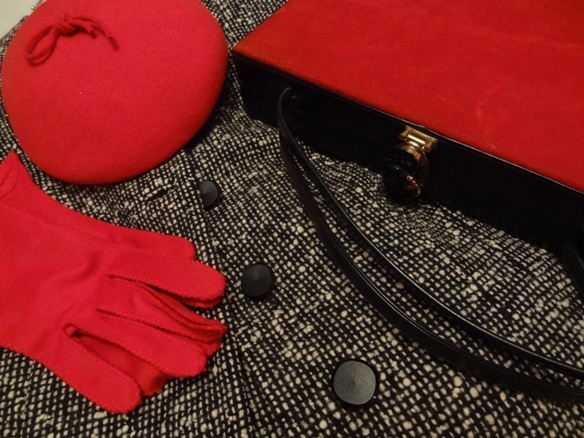 I was wearing a winter suit – in black and white tweed – with a red sweater, red scarf, red hat and gloves, a red and black purse and belt and black heels. 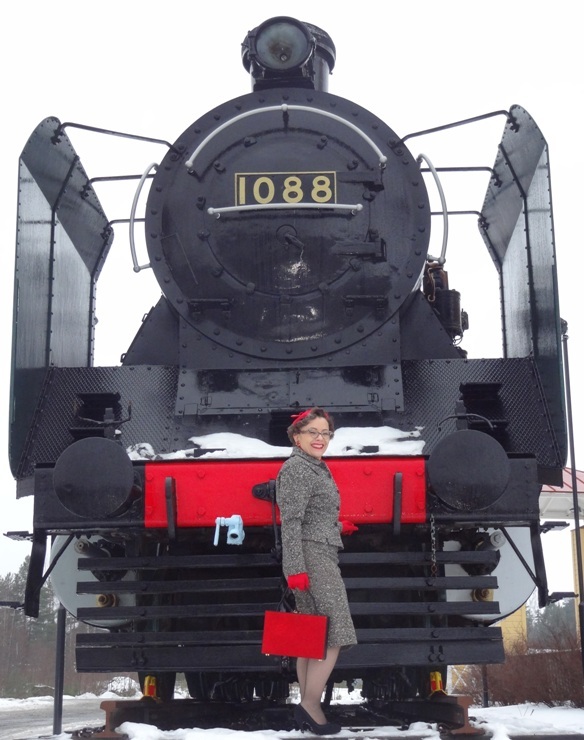 On the way back from Tampere we stopped by a museumed locomotive for a couple of pictures. 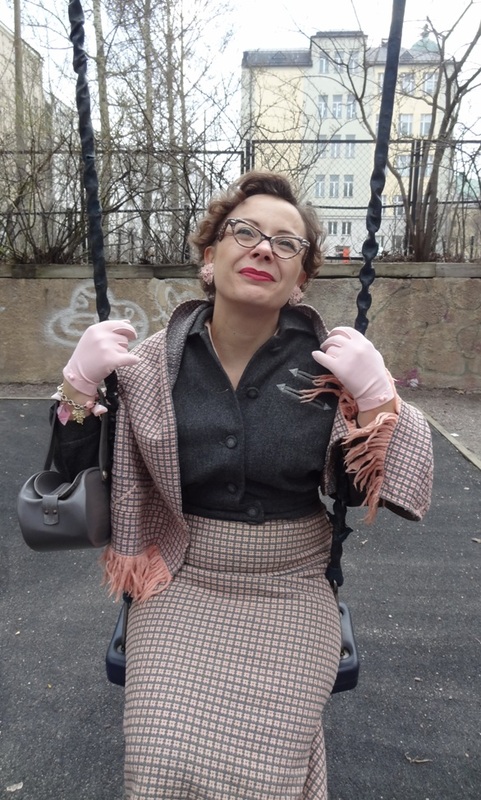 The suit is from an antique mall in Long Beach California (purchased last spring), the hat is a reproduction one, bought a few years ago from the Ophelia Market in Helsinki. 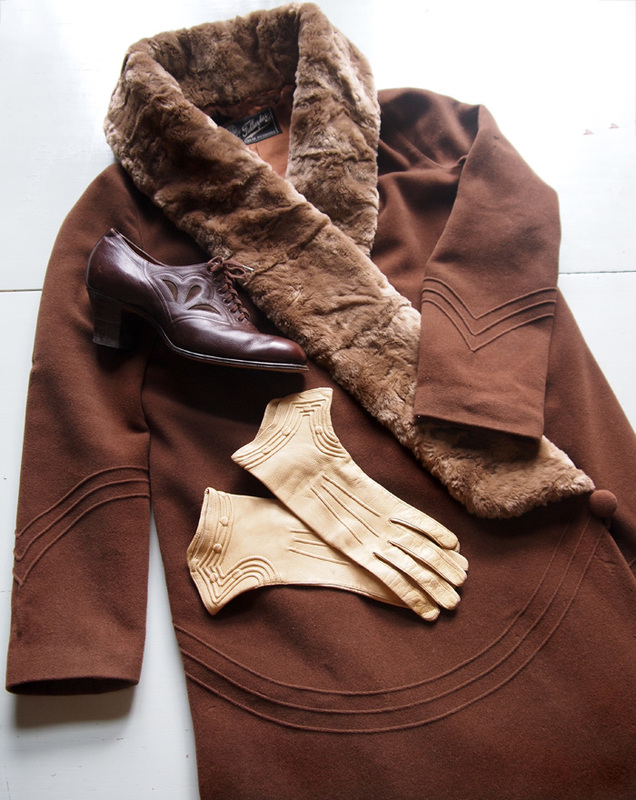 The gloves, scarf and the sweater are from antique malls in the US. 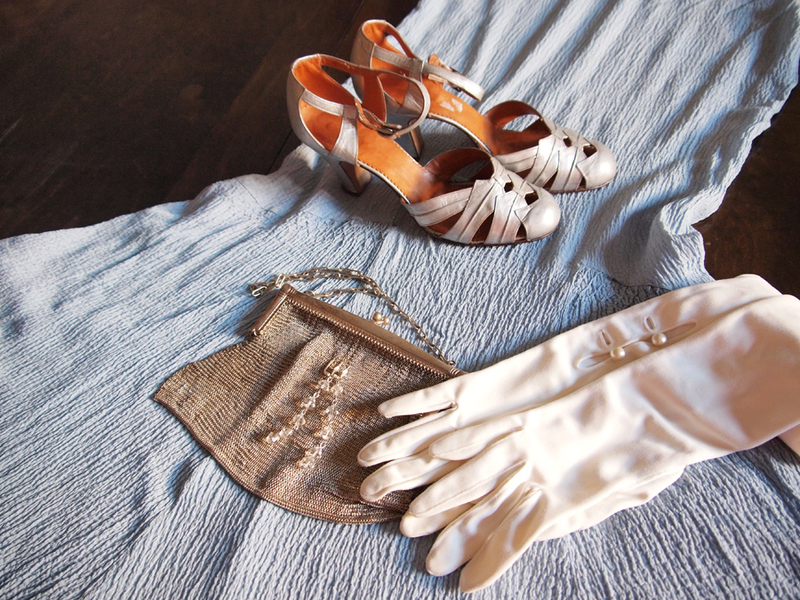 The heels, Finnish made, are from Nasta vintage shop in Helsinki, the purse is from VintagEija’s. 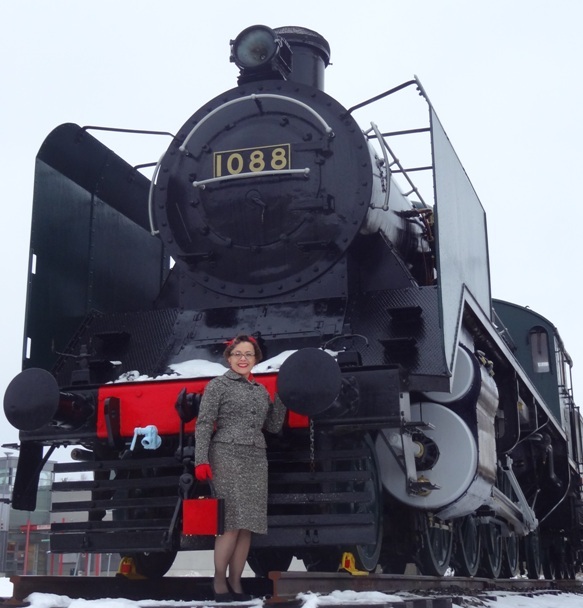 The locomotive is a Finnish made ”Risto” model (from the name of Finland’s 5th president Mr. Risto Ryti), dating back to 1956 i.e. roughly the same time as the suit. 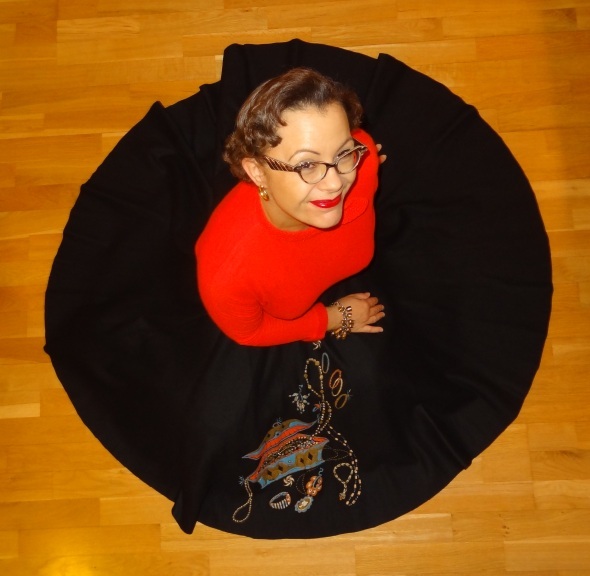 In one of my last year’s post I promised to show more felt skirts… It’s been a while already but I finally got some pictures of a recently purchased felt skirt. Presented the way they were often in the 1950’s i.e. as a full circle. 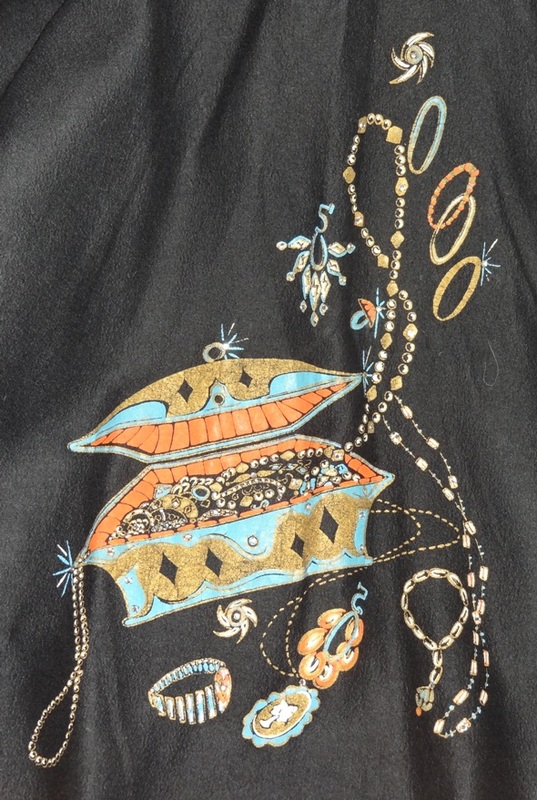 This jet black felt skirt is handpainted depicting a jewelry box enhanced with a few rhinestones. I am wearing it with a orangey-red orlon sweater with a nice detail at the collar, a black belt with clocks and simple gold tone jewelry. Black ballerinas complete the whole outfit but cannot be seen. 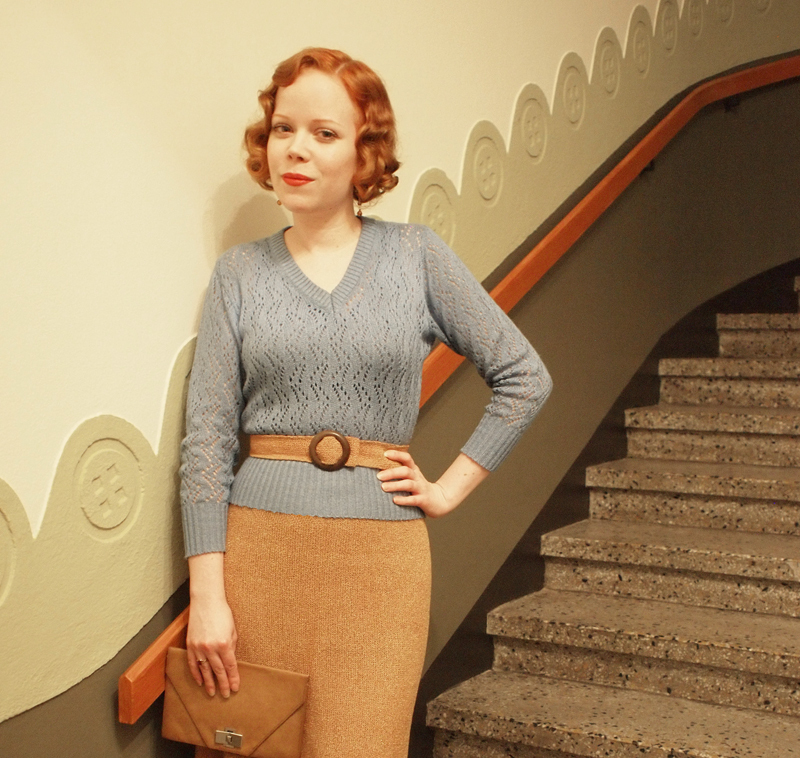 I purchased the skirt last october on etsy and the sweater is a present from a friend. The belt is an old element of my wardrobe, from ebay. 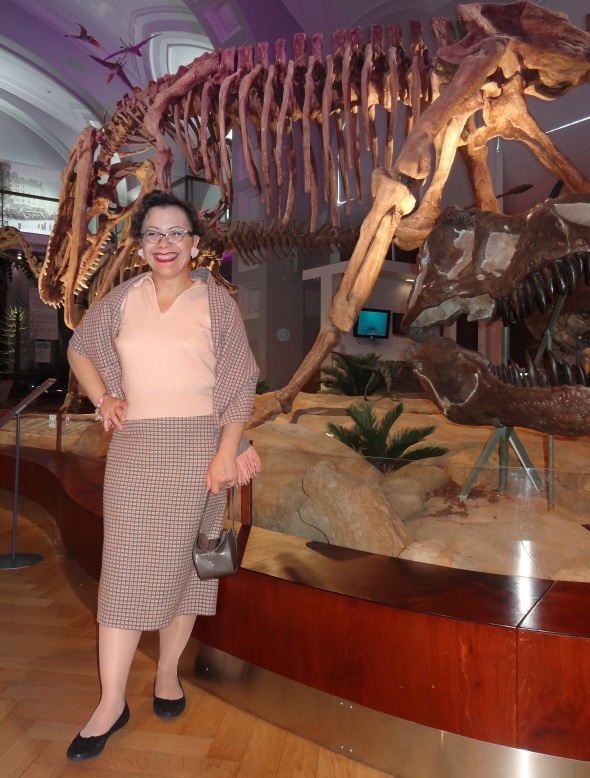 A day at the museum of Natural Sciences, with our god-daughter. Walking among dinosauruses and other natural wonders felt like being a child again. And even more so when we ended in a playground… and had fun with the swings. How fun can one have with a 6-year-old. 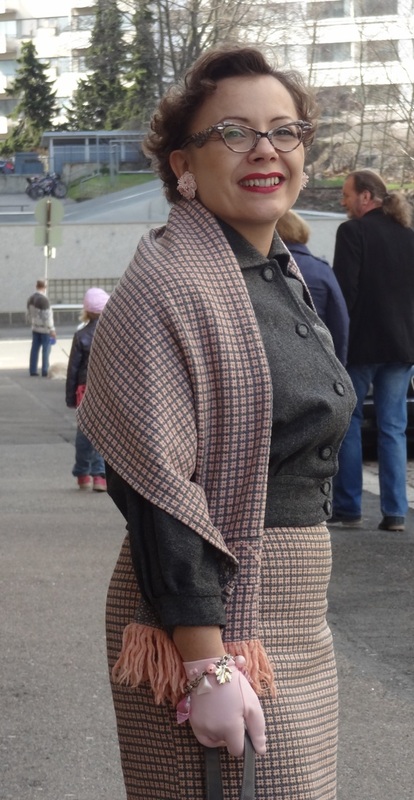 I was wearing a grey and pink woolen skirt, with a matching wrap, a pink cashmere sweater and a grey wool jacket. I had pink plastic jewelry and black ballerinas as well as a grey purse (I am still looking for matching grey ballerinas or wedges). 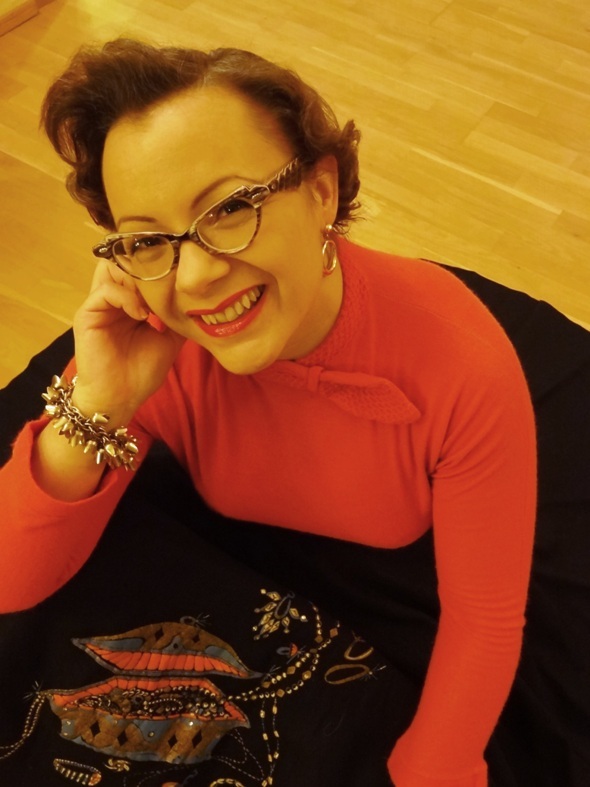 I found the skirt and wrap set last Spring from a small vintage shop in San Bernardino, California but I almost did not buy it: the reason? 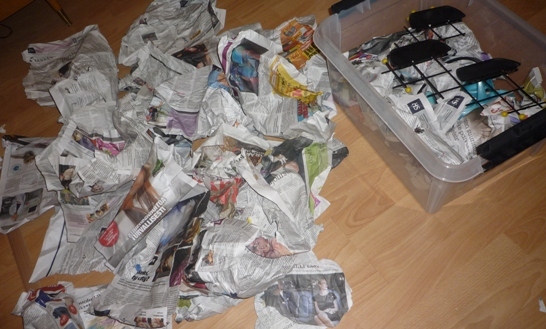 it was badly damaged by moths and full of holes, especially the wrap! Yet, the fabric is such that the holes are not easily seen, unless you look for them. The price -10 dollars -convinced me to give it a try. I had to do a lot of mending and I may be able to use the set only a couple of times. I also have to be ready for damage when I wash or dry-clean it but I am happy I bought it. The pink cashmere sweater is from Rainbow Vintage, at Viva Las Vegas weekender, also last spring. The jacket is from Tamara and Cyril’s vintage stall at a R’n’R weekender in the UK a couple of years ago (they also have an etsyshop: dixiefried). The pink plastic earrings are from France and purchased in the late 80’s or early 90’s and the bracelet… well I do not recall. The grey and funny shaped purse is from a vintage stall at the ”Talvi Heikki” vintage and curiosa event in Turku, last March. The ballerinas are modern ones. 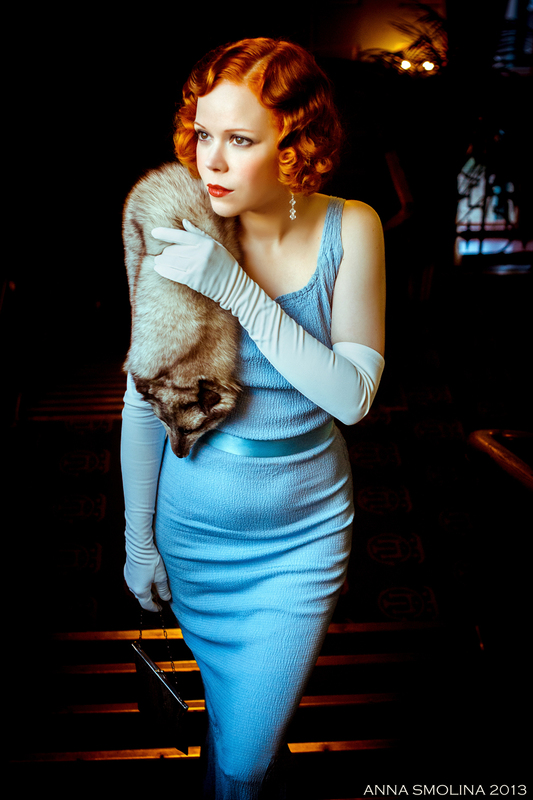 Introducing a pale blue early 1930s evening gown. 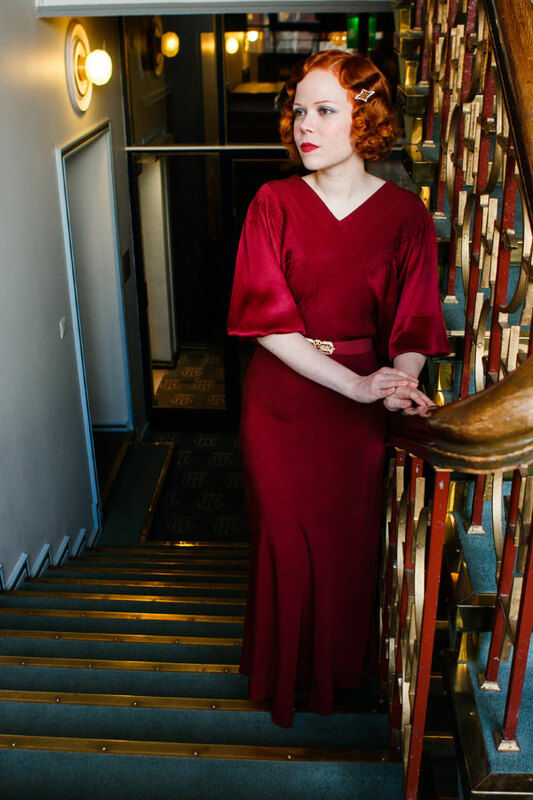 I bought this gown about a year and a half ago at a vintage shop called Old Touch, in Stockholm. I hadn’t had a chance to wear it and when I was visiting Stockholm again last October I thought it would be fun to take it with me. 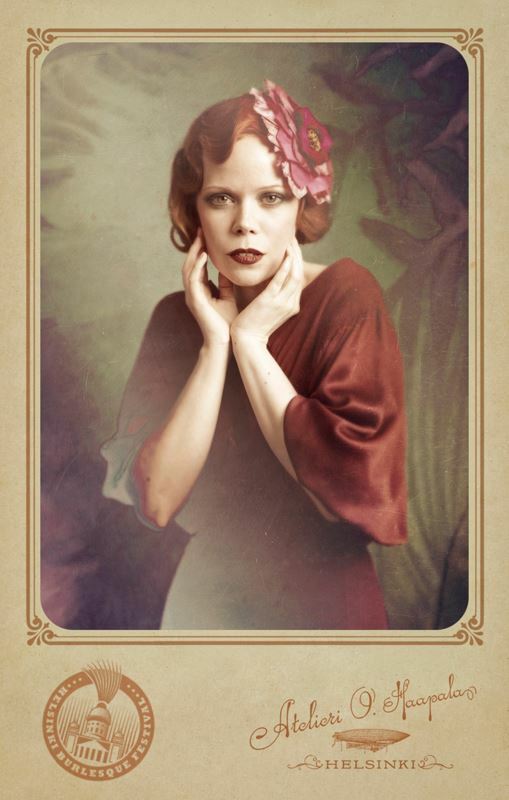 The first two photos are by the wonderful Neo-Victorian photographers of Atelieri O. Haapala. These were taken at the International Stockholm Burlesque Festival, where I also got to meet lovely Miriam from Miriams Kafferep. I was so excited to meet her, she is such an inspiration. And I have to say, she was even lovelier in person, than I had imagined. And these amazing photos were taken by my friend Anna Smolina. I accessorized with a vintage fox fur stole (I would never buy or wear new), white opera gloves, silver heels, chainmail purse and some dangle earrings I made out of clear glass beads. Back from a long break again… the end of the year has been busy, with Christmas in France and organising our traditional New Year’s Eve party at home. And above all, I have been, and I am still strugling to get rid of a long and tough flue. 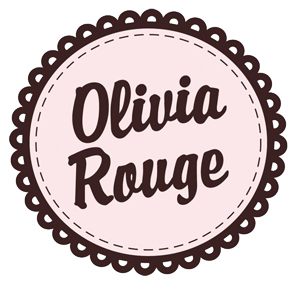 I have been wearing vintage, as usual, including a number of outfits that I have not posted yet but I did not get pictures. Hence, I’ll be again presenting outfits from a little older pictures, such as this one. 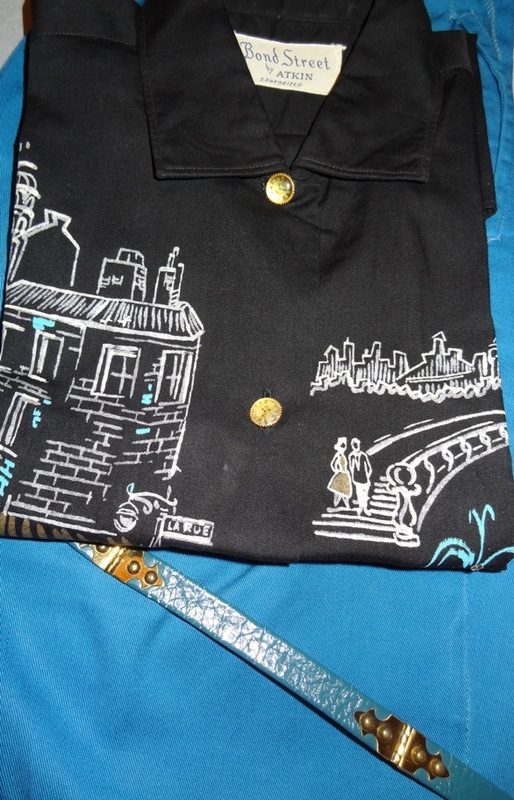 The center piece of this outfit is a black, long sleeved blouse, with hand painted Paris cityscapes and rhinestones. The sleeves button like with cuff-links and all the buttons are like small clocks. 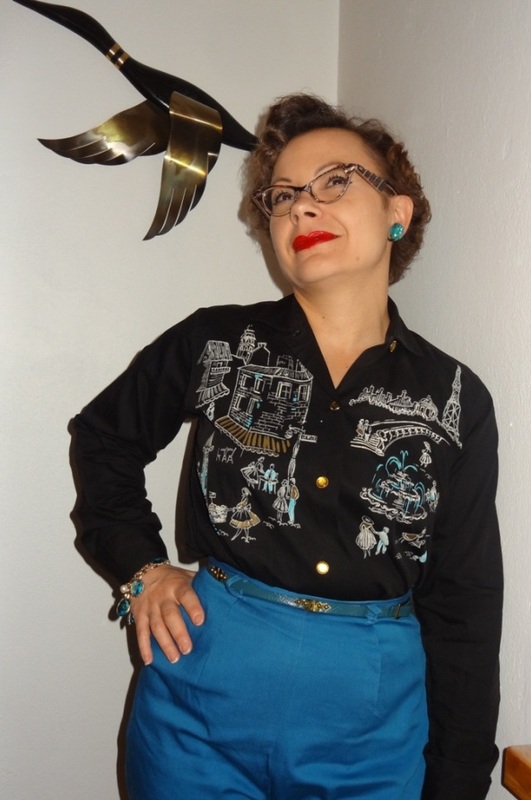 I wore the blouse with dark turquoise cigarette pants and a slim belt with metal hinges. Then black penny loafers, a black bucket bag and turquoise blue charm bracelet and earrings. 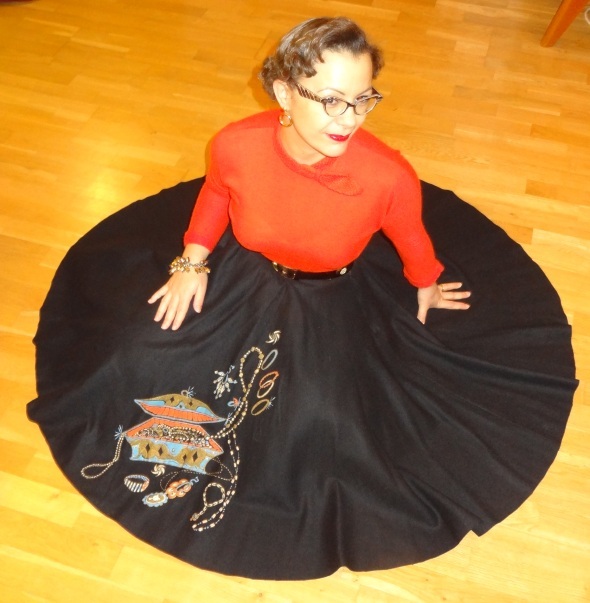 I purchased the skirt on etsy from my friend Coralie (her shop is called ”MademoiselleCoco”) a couple of years ago. I love it but I try not to wear it too often: I am afraid that the paintings would fade from too frequent washing. The pants are from ebay. The penny loafers are modern ones, but a classical model and I added the necessary pennies. The purse is from an Antique mall in Oregon or in Washington state two years ago. The bracelet is from a vintage shop in Saint Augustine (Florida) and the belt from the ”Apparel from the past” vintage shop in Baroda, Michigan. I have been busy with other things lately, but wanted to make a quick post on what I was wearing last Saturday. 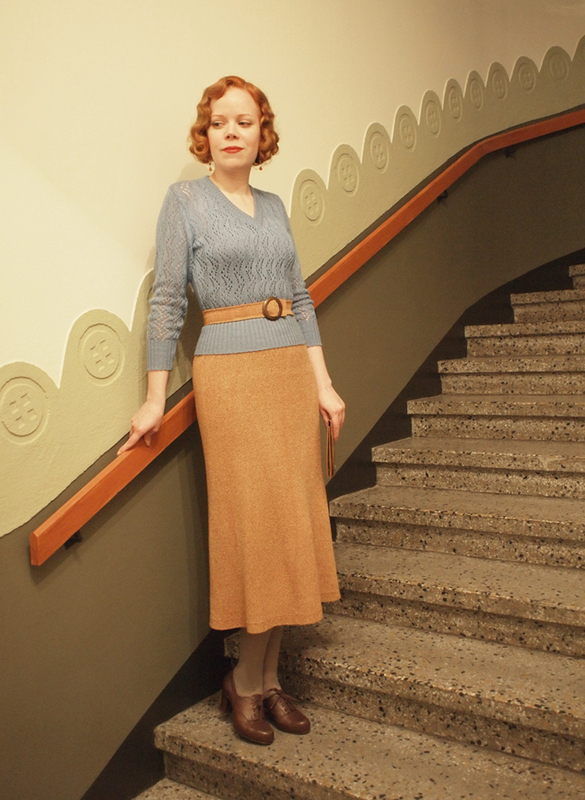 The knitted skirt has been in some of my previous posts, it is part of a set and I wear it regularly. The sweater is modern, I would say 1980s or 90s and made of silk blend yarn. My mother saved it from a trash bin, in perfect condition. Some people just do not care or know how to recycle, I guess. 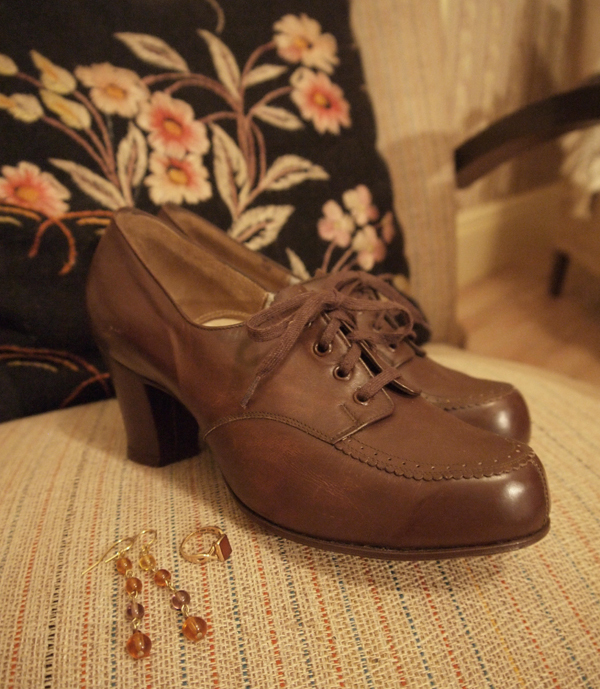 I bought these brown shoes from a friend a few weeks back. I call them my gingerbread shoes, even the edge of the tongue has those pretty little perforations. The earrings are something I made using old glass beads and the ring is my grandmothers engagement ring from the early 1920s.